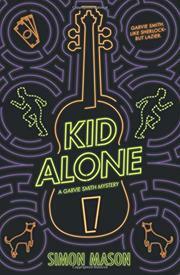 Garvie Smith, the underachieving teen detective, returns in a new mystery with more murder, dangerous intrigue, and highly inconvenient exams. Fans of Running Girl (2016) will find the mixed-race amateur sleuth and company much the same in this direct sequel, in which Pyotor Gimpel, a Polish boy with Asperger’s who also attends Garvie’s school, is found shot to death in a storage facility. True to form, Garvie abandons his already-small inclination to complete his exams, jeopardizing his future prospects, in order to solve this far more interesting whodunit puzzle, even as the recently demoted Sikh D.I. Singh tries in vain to keep Garvie out of it. Where Mason has added some depth to several aspects of Garvie’s world, including a closer look at his relationship with his Barbadian mother (his white father has abandoned the family), much of this sequel has disappointingly managed to outpace the problems of the first installment. The inclusion of a neurodivergent character as a murder victim, whose homicide is only solvable due to the particular behavioral manifestations of his autism-spectrum disorder, smacks of lip-service representation and lazy craft reliant on stereotype shorthand. Confusing elements such as the misrepresentation of Polish ethno-nationality as a racial identity also muddy the waters, and the juxtaposed-but-unexplored relationships of several different (Polish, Pakistani, Bajan) immigrant-family dynamics feel like a missed opportunity in a narrative where diverse cultural tensions are so largely at play.